TIAMAT’S WRATH is a New York Times & USA Today bestseller! 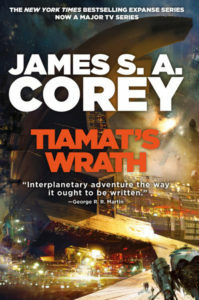 We think the Expanse series is bigger and better than ever with the addition of book 8, TIAMAT’S WRATH (US | UK)—and the rest of you must agree, because it appears on the New York Times, USA Today, and IndieBound bestseller lists this week! On the New York Times list, TIAMAT hit at #3 in the Combined Print & E-Book category, and #6 in the Hardcover Fiction category. USA Today puts it at the #3 spot. At IndieBound, it’s the #13 bestseller for Hardcover Fiction. If you’re new to the Expanse, you’ll want to start with book 1, LEVIATHAN WAKES (US | UK). And, don’t forget to tune in to season four of the TV adaptation The Expanse, coming to you soon as a Prime Original series. PERSEPOLIS RISING is a New York Times and Wall Street Journal bestseller! James S.A. Corey’s PERSEPOLIS RISING, the 7th book in the Expanse series, hit the New York Times Combined Print & E-Book Fiction bestseller list, at #13! PERSEPOLIS RISING also hit the Wall Street Journal‘s E-Book Fiction bestseller list at #7. If you’re not yet on the Expanse bandwagon, it’s never too late to pick up a copy of the (USA Today bestselling) first book in the series, LEVIATHAN WAKES (US | UK | ANZ). We’re also looking forward to the premiere of the third season of The Expanse, SYFY’s TV series based on the books, in early 2018. 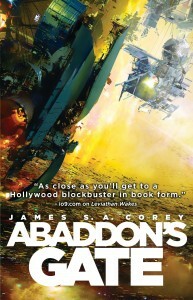 Congratulations to James S.A. Corey from everyone here at Orbit! Things started simply enough: a ship is found mysteriously abandoned by its crew, but we’ve all watched and read enough space adventures to know that nothing is ever quite so simple. 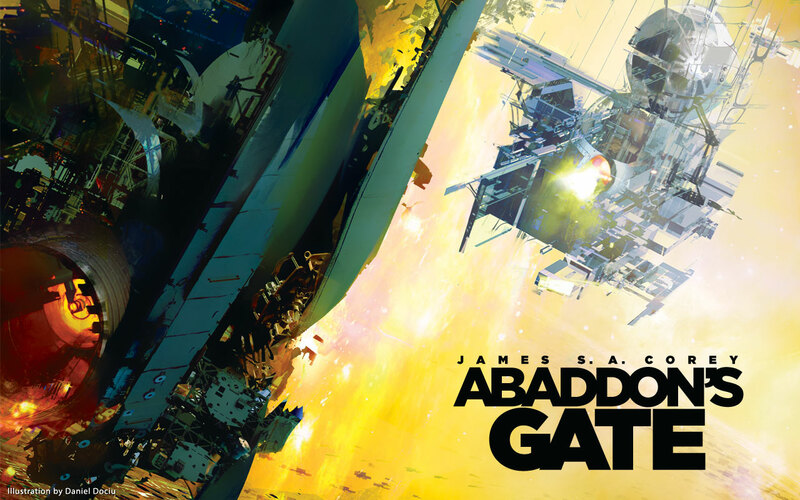 With each twist and page-turning sequence, the Expanse series has grown to become an absolute gem of the subgenre and today, the latest novel ABADDON’S GATE (US | UK | AUS), begins hitting bookshelves. Daniel Abraham and Ty Franck, the writing team behind James S.A. Corey, knocked it out of the park once again as you’ll see in the terrific reviews the novel has already gotten. Check out the James S.A. Corey Facebook page to read the first few chapters and whet your appetite until you get a hold of your own copy. If you haven’t taken the leap yet, here’s an excerpt from LEVIATHAN WAKES ( US | UK | AUS). As an extra treat, we made a set of wallpapers from the stunning cover illustration by Daniel Dociu. Enjoy! Become a fan of James S. A. Corey on Facebook! There is a new way to receive updates on James S. A. Corey’s publishing activities over on Facebook. Become a fan of the official Facebook fanpage and connect with other fans of the Expanse series. 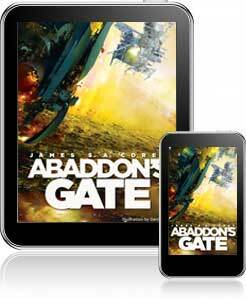 You’ll also gain access to exclusive excerpts from the upcoming novel ABADDON’S GATE! For those of you who haven’t picked up these books yet, you can read a sample from LEVIATHAN WAKES (UK | US | AUS) here and get hooked on this critically-acclaimed SF series. James S. A. Corey’s CALIBAN’S WAR is out! 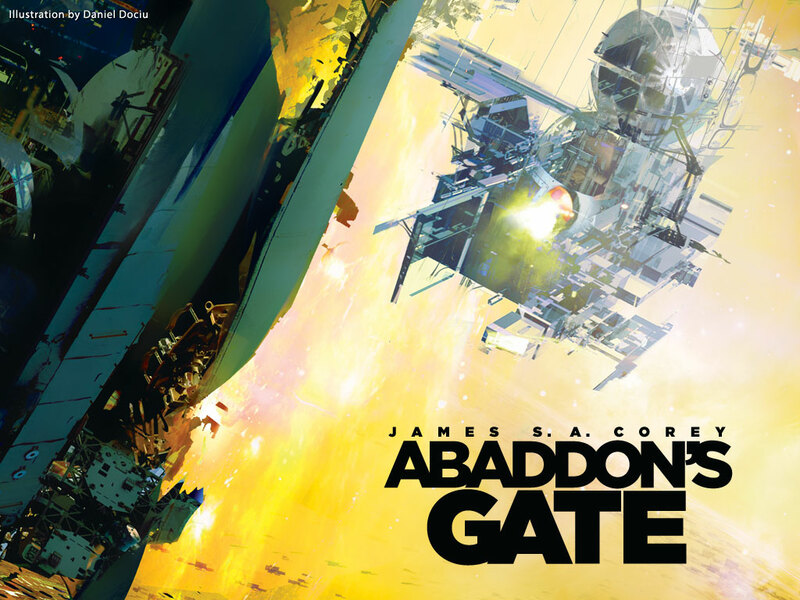 For anyone who enjoyed last year’s Hugo-nominated barnburner LEVIATHAN WAKES (US | UK | AUS) the next book in the Expanse series is a must-read. Earth and Mars are rattling sabers following a grisly attack on the asteroid colony Ganymede, and heroes familiar and new are drawn into the fray. This reader would happily follow Captain James Holden and the crew of the Rocinante to the ends of the solar system, and may yet. But some new faces have joined the cast, including Bobbie Draper, gunnery sergeant in the Martian Marines (and her beyond-deadly combat suit), and Chrisjen Aravasala, an Earth politician as grandmotherly as she is shrewd, sharp-tongued, and determined to keep UN forces and Mars from all-out war. LEVIATHAN WAKES and RULE 34 are 2012 Locus Award Finalists! 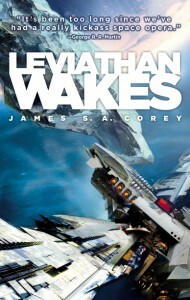 Locus yesterday announced the 2012 Locus Award finalists, including James S.A. Corey’s Leviathan Wakes (US | UK | ANZ) and Charles Stross’s Rule 34 (UK | ANZ) for Science Fiction! 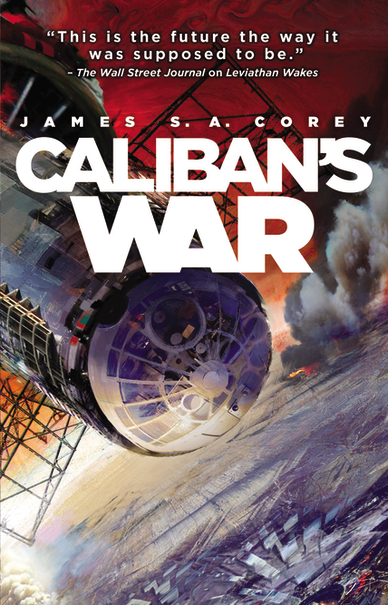 The sequel to Leviathan Wakes, Caliban’s War (US | UK | ANZ) is out next month. We also recently announced the acquisition of three more Expanse novels to come. 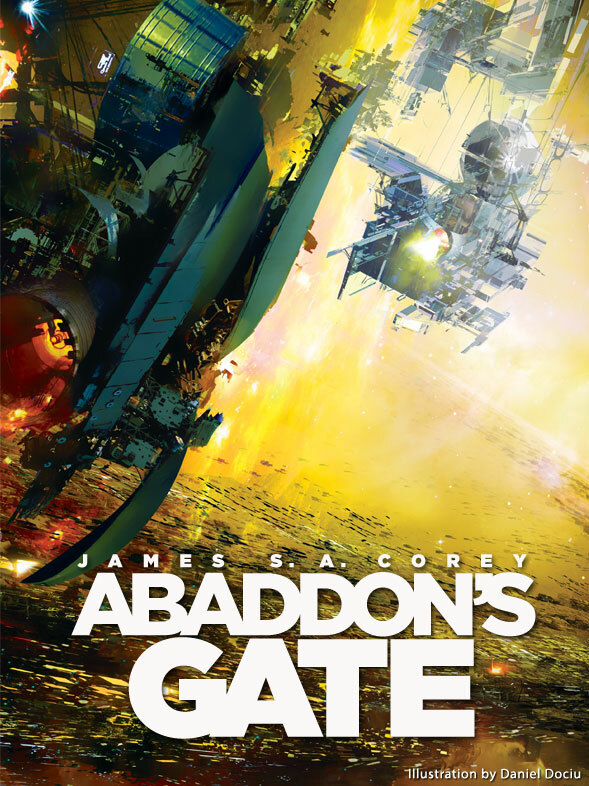 Orbit signs up three new Expanse novels by James S.A. Corey! 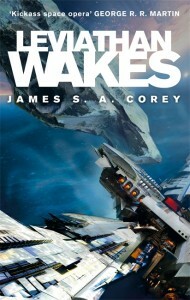 Published in summer 2011, James S.A. Corey’s LEVIATHAN WAKES (US | UK) was an instant favorite among space opera fans. Charles Stross deemed it “a slick, fast-paced, old-fashioned yarn,” and George R.R. Martin called it his favorite science fiction novel of the year. The second volume in the Expanse series, CALIBAN’S WAR (US | UK), is due out this summer, and a third will follow a year after that. 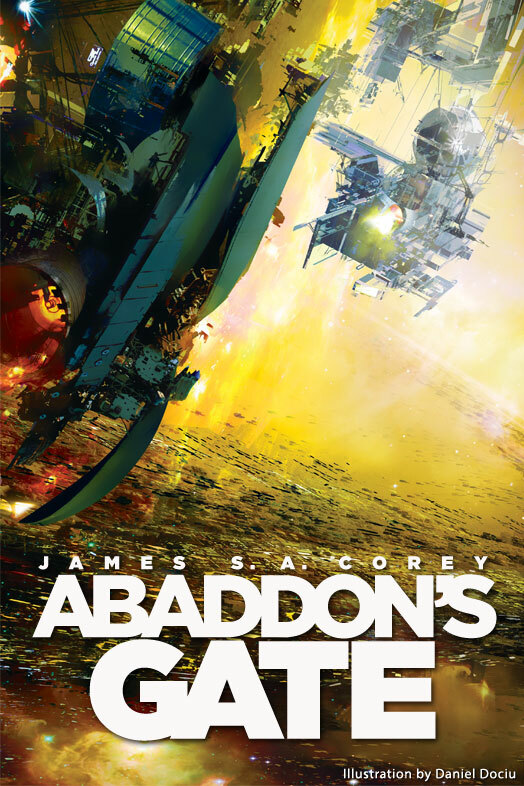 This saga of interplanetary intrigue, adventure, and first contact will only get bigger—so we are thrilled to announce Orbit’s new deal with agent Danny Baror and author James S.A. Corey for three new Expanse novels, plus five new Expanse novellas. Gunnery Sergeant Roberta Draper of the Martian Marine Corps upped the magnification on her armor’s heads‑up display and looked in the direction Hillman was pointing. Twenty-five hundred meters away, a squad of four United Nations Marines were tromping around their outpost, backlit by the giant greenhouse dome they were guarding. A greenhouse dome identical in nearly all respects to the dome her own squad was currently guarding. One of the four UN Marines had black smudges on the sides of his helmet that looked like beagle ears. Guard duty around the greenhouses on Ganymede meant doing what you could to keep your mind occupied. Including speculating on the lives of the Marines on the other side.